This was created initially in Terragen, then finished in Photoshop. 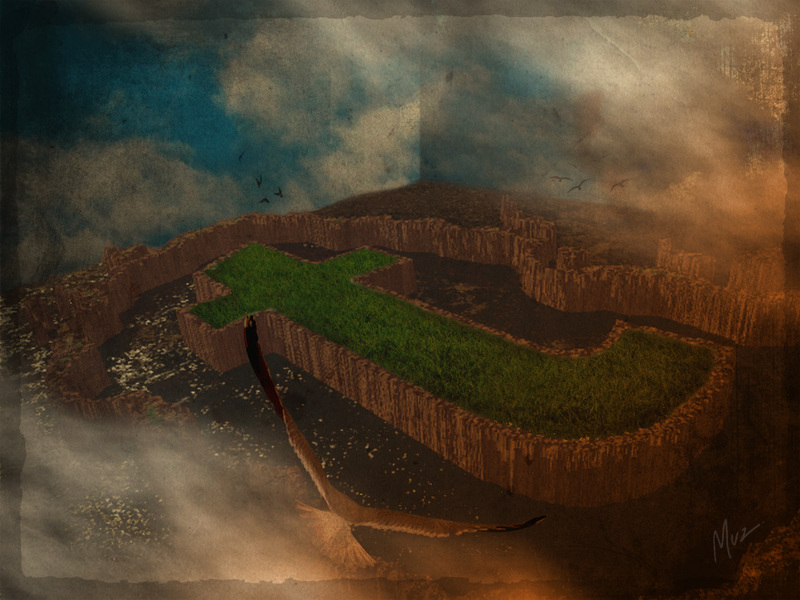 There is a group in DeviantArt called Tutorial Island. This was a wee thank you for their great help.